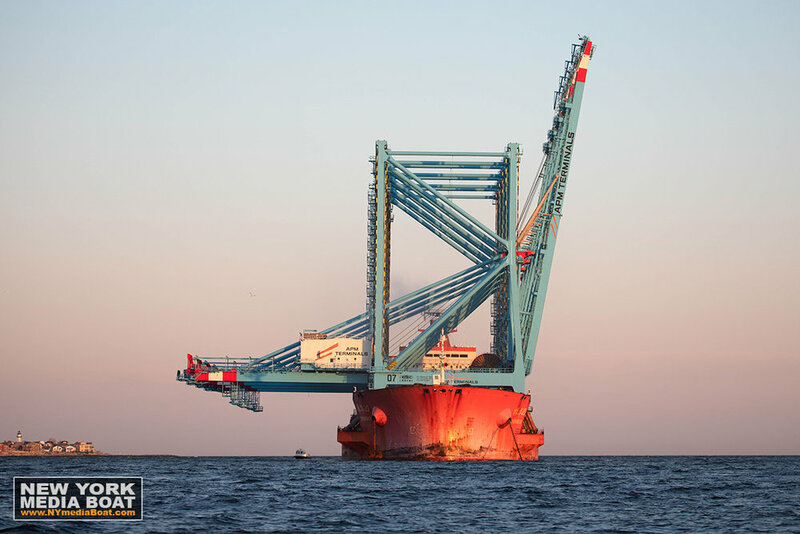 It was an impressive sight, as the four giant ship-to-shore cranes appeared on the Horizon. 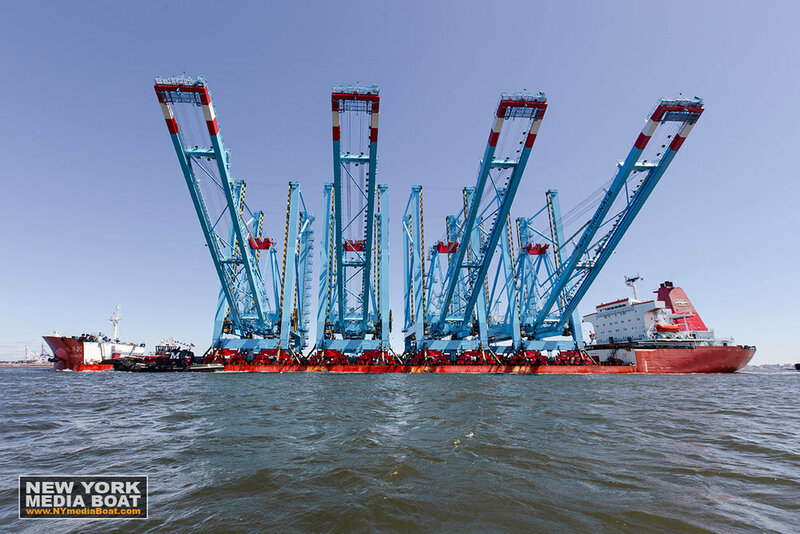 On April 20th, the Heavy Load Carrier 'Zhen Hua 20' arrived in New York. She had departed Shanghai on February 15th -- that's 66 days at sea -- traveling at an average speed of just 8 knots. 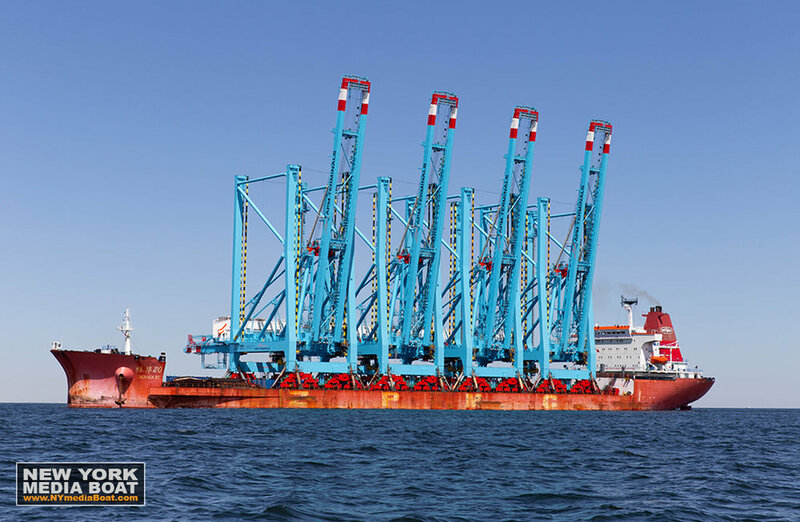 The four cranes on deck were built by ZPMC in China for the Maersk Terminal at Port Elizabeth in New Jersey. Many modern heavy load carriers are constructed with the wheelhouse forward of the cargo area for unobstructed views. 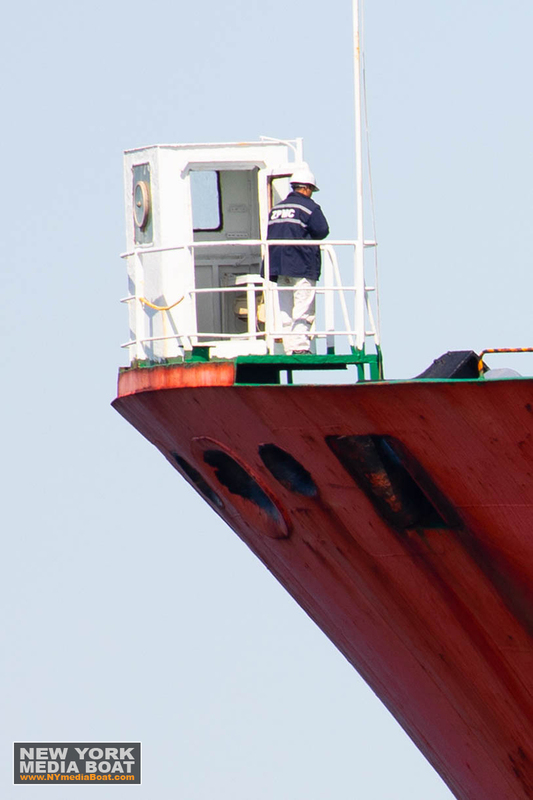 On this ship, a box is mounted on the bow for the the look-out. A clearview screen ensures a good view in any weather. This rotary wiper is installed in the window and houses an electric motor mounted in the center, which spins a glass disk inside the circular metal frame at high speed. Rain, sleet, and sea spray get dispersed immediately upon contact by centrifugal force. 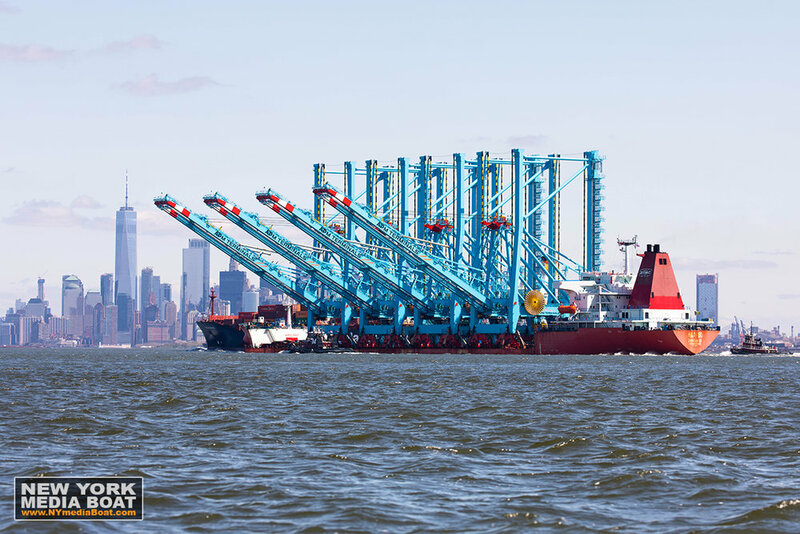 Anchor was dropped in Gravesend Bay to reconfigure the total height in order to transit under the Verrazano-Narrows Bridge and the Bayonne Bridge. With the booms lowered the total height was 213 feet. Three Moran tugboats assisted as she sailed through the Narrows into New York Harbor. The iconic Manhattan skyline always makes for a nice backdrop! One World Trade Center is currently the tallest building in the Western Hemisphere. Stability calculations had to be exact in order to extend the booms this far from her port side. 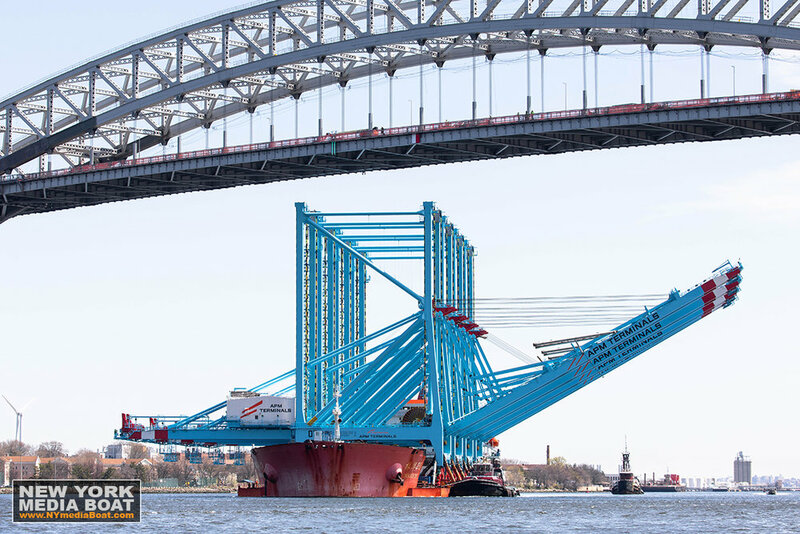 The recently raised Bayonne Bridge was transited at low tide, allowing some extra room to pass underneath. Tight quarters, but she made it!